Maryland Pink and Green: Save $10 on any purchase of $50 or more. I have a Lands’ End offer to share! I love Lands’ End and think you will, too. They have great quality, classic styles, and everything is Guaranteed. Period.®. 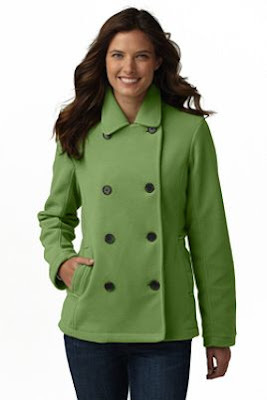 Save $10 on any $50 purchase at landsend.com when you shop this link by 10/7/10. This is such a great deal! They have so many great items for fall and fantastic prices. I love it that they have a wide range of things in petite sizes. This pea coat is a classic and the color is divine! 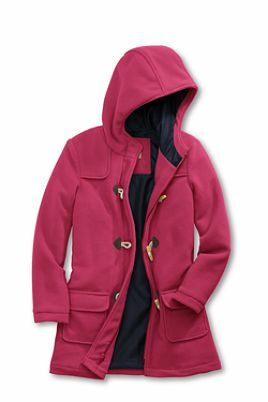 My minnies would love this coat for winter. 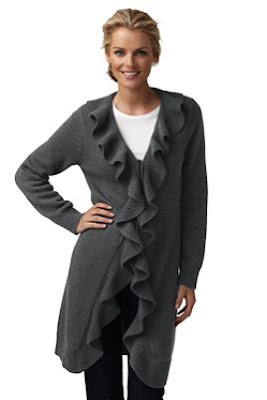 Wow, that wrap looks just like the Lilly Shere Cashmere Cardigan! You should check it out - maybe as a Christmas gift to yourself ;) Speaking of which, I'm a huge fan of your 'favorite Lilly dress' of the season - very pretty! I am still loving the Adalie Wrap! I thought the same thing when I saw the sweater--looks like the Lilly Shere Cardigan.